Did you know that you are supposed to replace your smoke alarms every ten years? 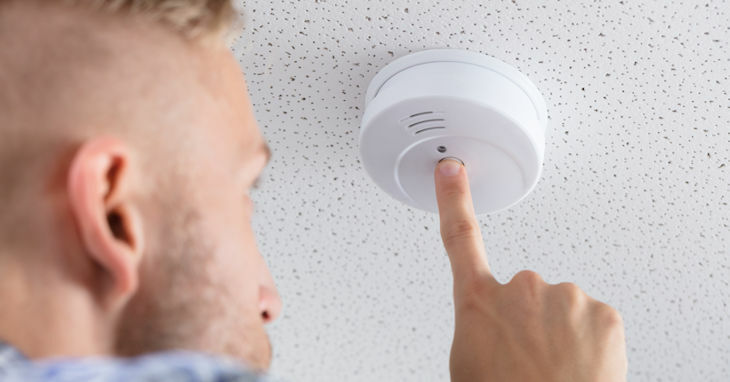 One of the biggest parts of being a responsible homeowner is keeping up with fires safety and maintenance around your home. As your trusted independent home insurance agency in western Wisconsin and eastern Minnesota, we want to make sure you have all the tools you need to keep your family safe from the threat of a fire. Want to get up-to-date with your fire safety preparation steps? Check out our top fire safety tips outlined below. Smoke alarms must be installed on every level of your home. This includes finished basements, attics, and attached garages. You should have a fire alarm in every room in your home, including hallways. Smoke alarms should be tested once a month to make sure they are working properly. If you test a smoke alarm and the battery is faulty or dead, replace it immediately. Replace the batteries in your smoke alarms at least once annually. Which Type of Smoke Alarms Work Best? Some fires are fast-moving and flaming, while others like to smolder and produce lots of smoke. Every fire that breaks out in your home will react differently, so it’s important to know which smoke alarms work best in each possible scenario. These smoke detectors work to identify small particles that are typically found in fast, flaming fires. While this can be great for sleeping and gathering spaces, they can set off false alarms due to steam or cooking. This means they should be placed away from your kitchen and bathrooms. This type of smoke detectors works to identify larger particles that are found in smoky, smoldering fires. This makes them ideal for kitchens, bathrooms, and hallways near these areas. These smoke detectors combine the technology found in ionization and photoelectric smoke alarms to provide homeowners with the best of both worlds. They are ideal for sleeping areas, family rooms, hallways, and basements. But remember, to provide your family with the ultimate level of protection, you should still install carbon monoxide detectors throughout your home as well. Fire extinguishers are also essential for proper fire safety. Like some alarms, you should install fire extinguishers on every level of your home. Typically, experts suggest that a fire extinguisher should be available in the kitchen, living area, hallways outside of your bedrooms, basement and in your attached garage. P – Pull the pin from the extinguisher to break the tamper seal. A – Aim low and point the nozzle towards the base of the fire. S – Squeeze the nozzle slowly to release the extinguishing agent in a steady flow. S – Sweep the nozzle from side to side, making sure to keep your aim focused towards the base of the fire. In addition to following proper fire safety in your home, investing in comprehensive home insurance coverage is the best way to keep your loved ones safe in the event of a fire. Contact the team at Noah Insurance Group online to review your coverage and be sure to request a quote today.